Hey cat people! Looking for cat stuff to do this week? We’ve pulled together some great cat-centric happenings into your weekly Cat Event Calendar. Don’t just sit at home snuggling with the cats, get out there and have a cat-tastic weekend! And if your kitty is not a stay-at-home personality, consider a joint outing to a gathering known as First Caturday. With or without your very own cat, there are plenty of unique and delightful amusements scheduled for cat lovers this week. Here is a roundup of this week’s top picks for cat enthusiasts! With the devastating tragedy in Las Vegas this past week, organizers nearly cancelled the Pop-Up Cat Cafe event. The community response however was overwhelming, imploring Meow or Never and The Poppy Foundation to carry on with their important mission and remain #VegasStrong amidst the grief. 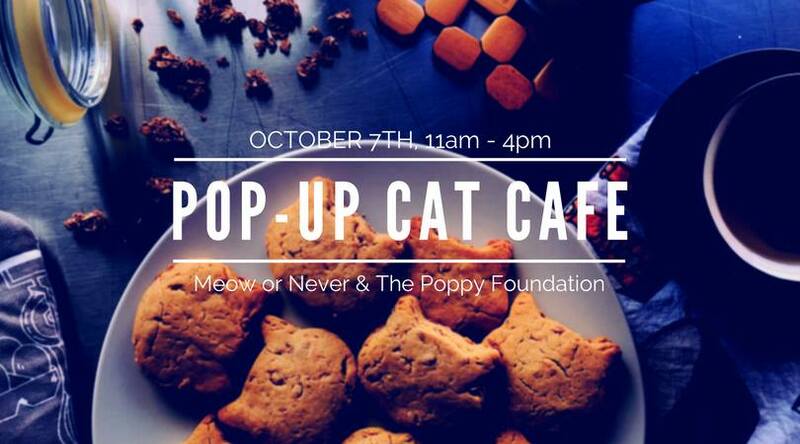 Meow or Never Cafe & Rescue and The Poppy Foundation are hosting Las Vegas’s First Pop-up Cat Cafe! Come out to play with the Poppy’s adoptable cats and listen to live music while enjoying coffee, pastries, and meowmosas! Proceeds will be going to the Poppy Cats and the Meow or Never Cat Cafe crowdfunding campaign. The goal is to raise enough money to open the doors to the first Las Vegas cat cafe in early 2018. The first Saturday of each month has come to be known as First Caturday. 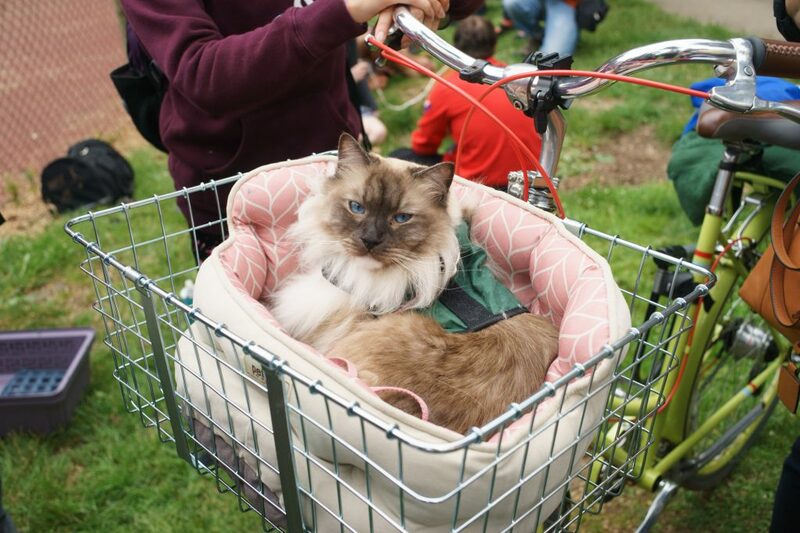 First Caturday is an unofficial social gathering for cats that started out on the West coast and is now rapidly popping up in cities across North America. 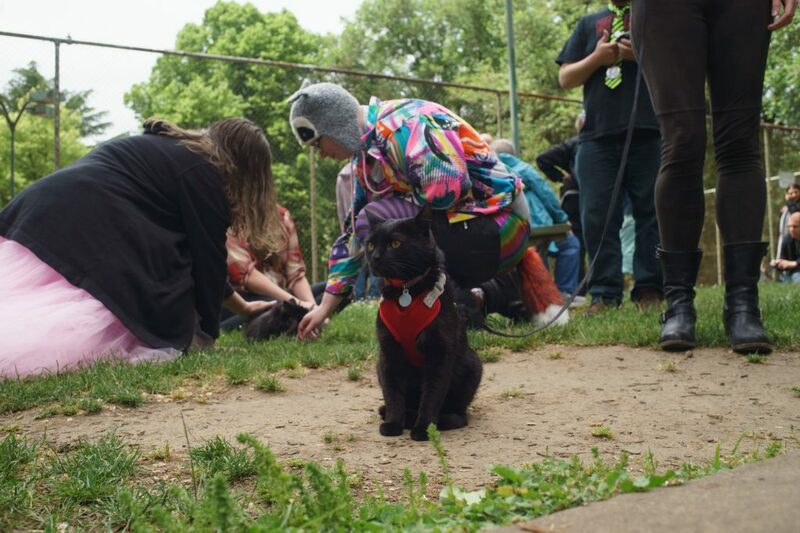 Seriously, we’re talking an actual outdoor meetup of cats and their people. 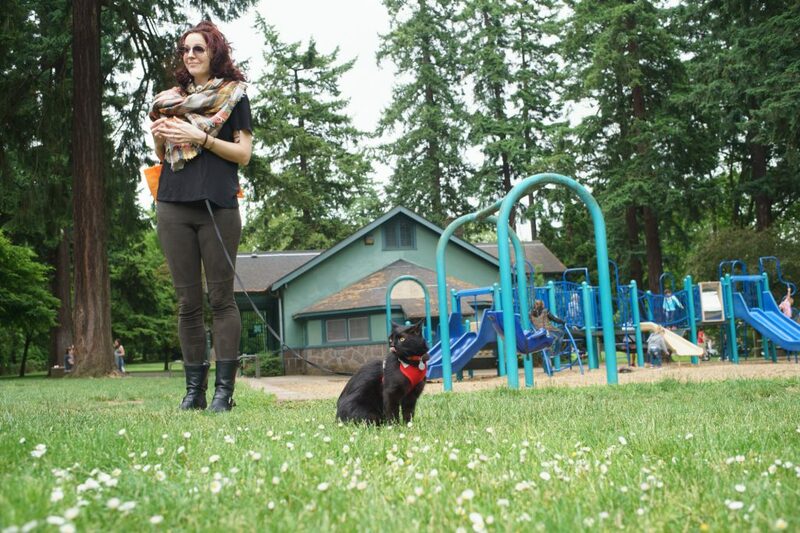 Bring your adventure-loving feline to mingle with other cats. Conveyances such as strollers, bicycles, or cat backpacks are welcome. Among like minded cat folk, your bedazzled kitty shirt will not be out of place. If your cat likes to wear a hat, that’s cool too. It’s all social media gold, so get ready to blow up your Instagram account with #FirstCaturday pics! This weekend, there are eight First Caturday gatherings on the calendar, with another two the following weekend. Follow First Caturday on social media to get event details. These are unofficial happenings spontaneously organized by local people. You yourself could have a First Caturday in your city! 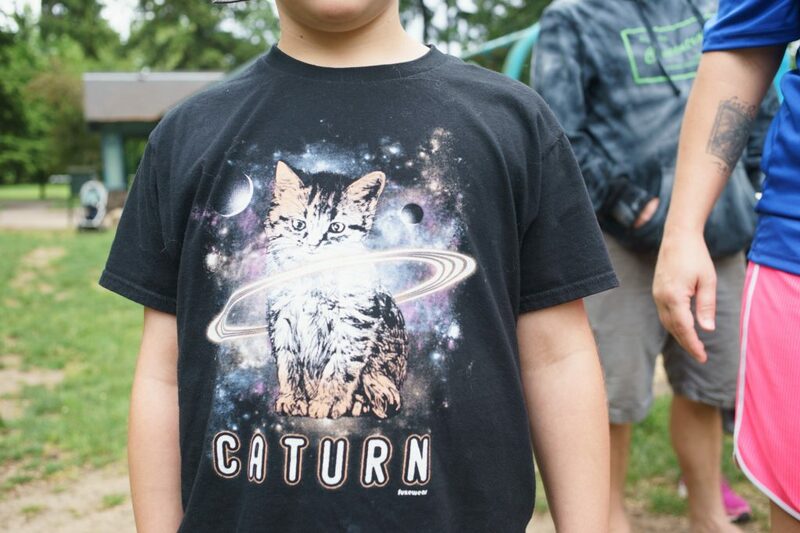 It’s basically the rise of cat culture spreading across the land. Caturday is real. 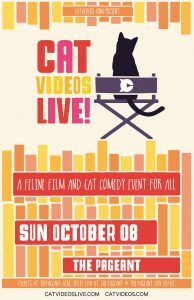 For St. Louis cat people, the Cat Videos Live event at The Pageant in the city’s Loop area is a no-brainer for Sunday night. Not just cat videos on the big screen, this is also cat comedy event and social gathering for all ages. If you’re lucky enough to have a cat cafe nearby, you can never be bored. Not only do cat cafes offer a wonderful way to spend your day, they are a source of remarkable creativity in the calendar of special activities offered. From yoga with cats to movie nights, many cat cafes are offering much more than cats and coffee. This month we’re super excited about the crafty cats at Kittens in Cups in Annapolis, Maryland. 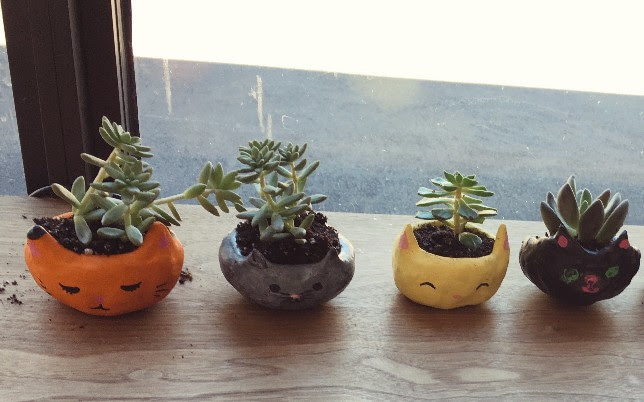 Kittens in Cups has a full calendar of cat themed craft events, including making autumn-themed cat planters on October 9th and Halloween Felt Pusheens on October 11th. -Sooooooo cute and clever! Every day is a great day to visit your local shelter. Go give the kitties a pep talk, drop off a donation, get a cuddle! Have a cat event you want us to share? Tell us!